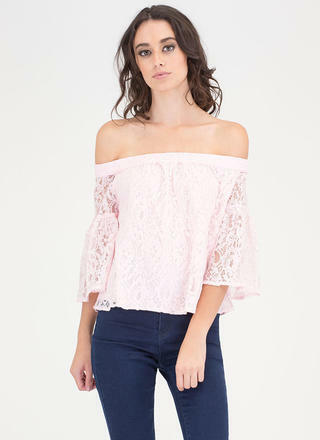 If you wanna add an extra element of cuteness to your look, pick polka dots! 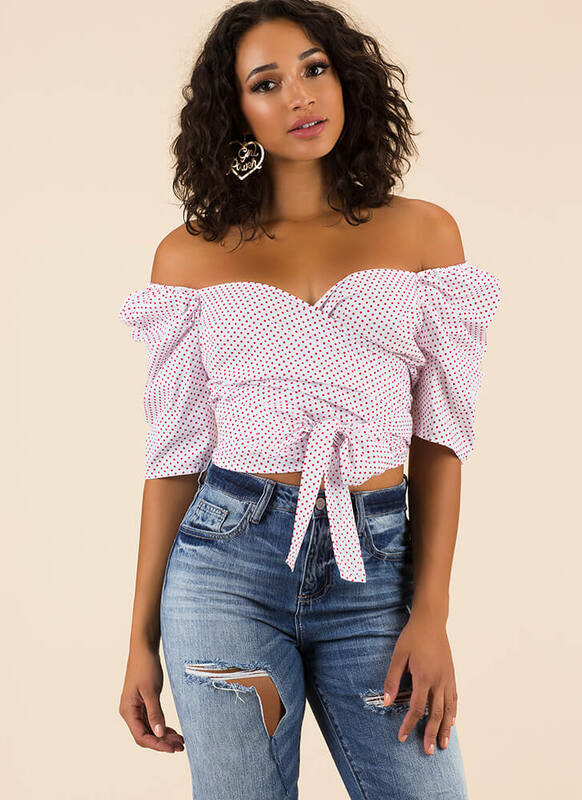 Lightweight, non-stretchy, wrapped crop top features an allover two-toned polka dot print, a sweetheart neckline, puffy three-quarter sleeves, and long straps that wrap and self-tie around the body for a bow-front look. No additional closures are included. Pattern placement may vary.